After having the sensor revised as it stopped working having dropped out of the tree during a storm (turned out to be a battery draining firmware issue), I have finally reinstalled the Measure Your City sensor hub. 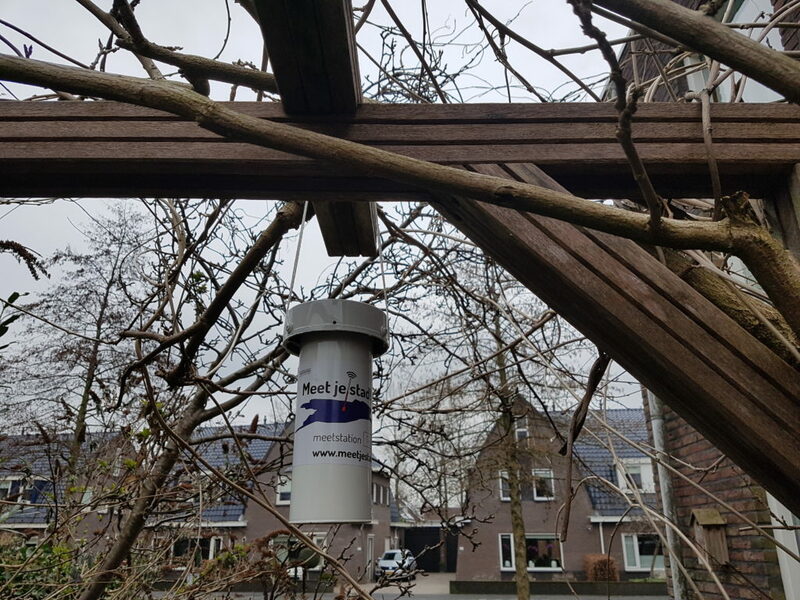 I took the opportunity to spray paint the sensor hut white (preventing the dark grey hut from quickly heating up in sunlight and thus influence the measurements), add the Measure Your City sticker (so passers by can figure out what this thing is), and use a stronger wire to hang it back in the garden. In the past weeks we used the sensor indoors to measure humidity, as it was very dry during cold spells. From now on you should see the temperature measurements change from about a steady 20 degrees inside, to the day and night rhythm outside.